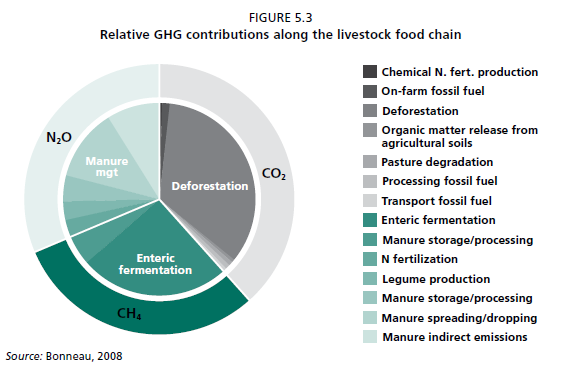 ①	FAO 2013. 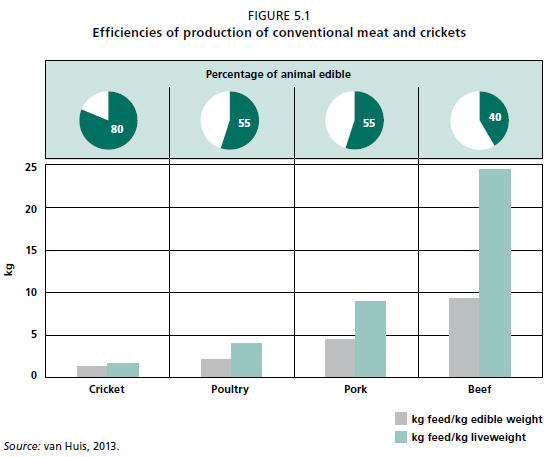 Edible insects: future prospects for food and feed security. ②	Oonincx DG, van Itterbeeck J, Heetkamp MJ, van den Brand H, van Loon JJ, van Huis A. 2010. 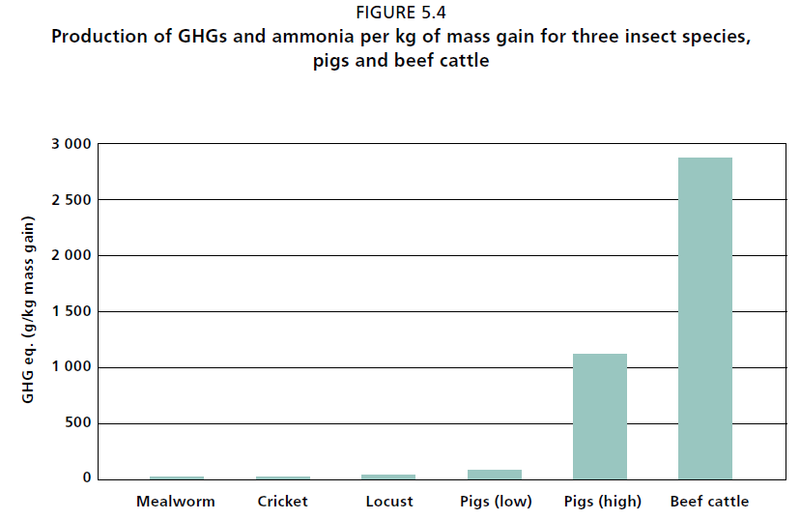 An exploration on greenhouse gas and ammonia production by insect species suitable for animal or human consumption. Plos. One, 5:e14445. ③	Oonincx DG, de Boer, I.J. 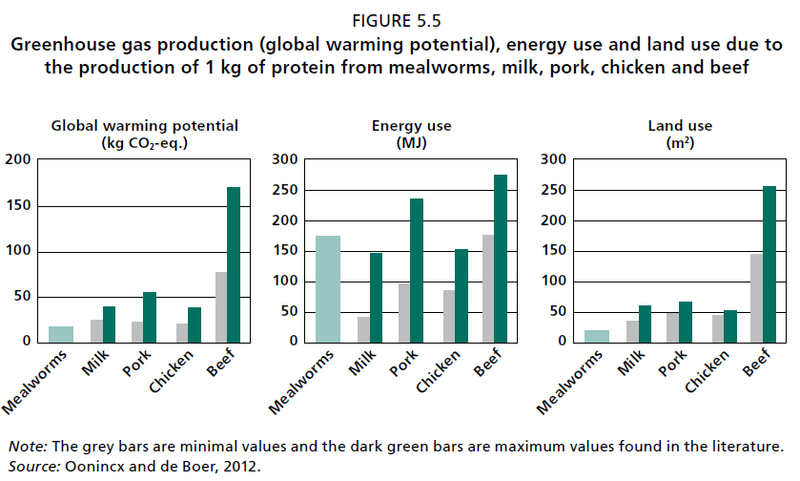 2012.Environmental Impact of the Production of Mealworms as a Protein Source for Humans – A Life Cycle Assessment. Plos. One, 7:e51145. ④	van Huis, A.2013. 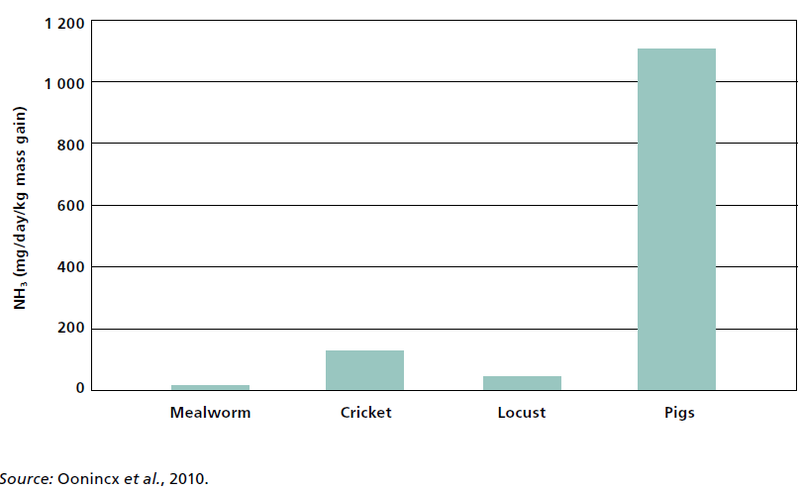 Potential of insects as food and feed in assuring food security. Annual Review of Entomology, 58(1): 563–583.